We will be more than happy to provide you with a quote for your metal roofing material once we receive your completed form. Please make sure to provide your address if you would like one of our delivery services. The picture above can be used as a guide when providing your measurements; be aware it is a birds eye view of the roof. Please specify inches and feet when providing measurements. 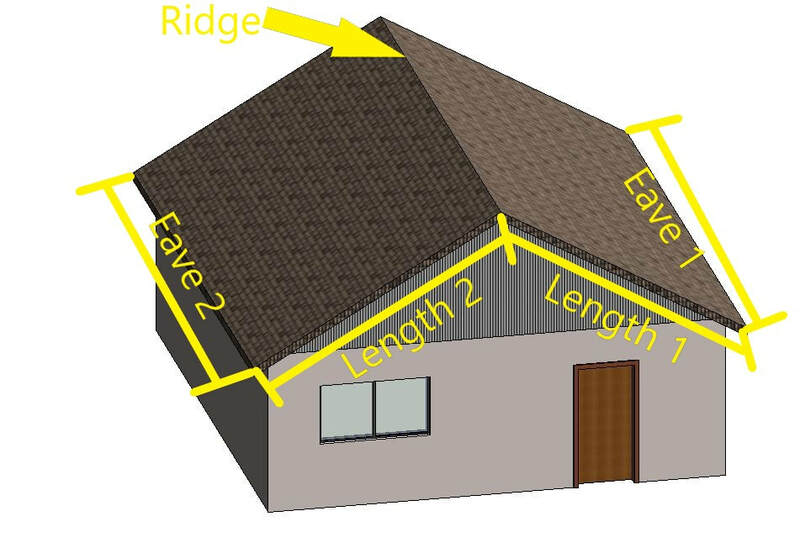 If your roof has the same measurements on both sides of the ridge, there is no need to provide both (although you could to prevent any confusion). Even though we are able to provide you with a color chart, we highly recommend stopping in our office to check out our painted metal swatches; as the colors may vary on screen resolution.